KX Amplifiers combine a sleek look and potent features with up to 2,400 watts of Earth-shattering power. 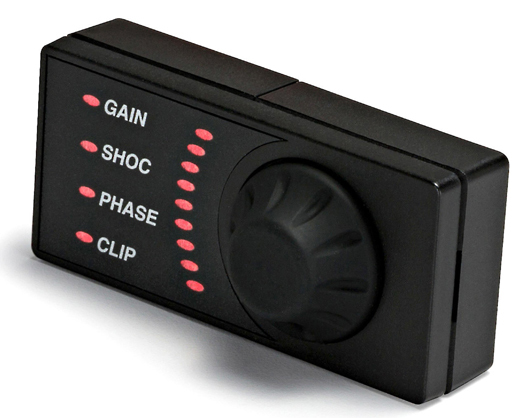 A revolutionary wireless remote that goes way beyond a simple bass knob. 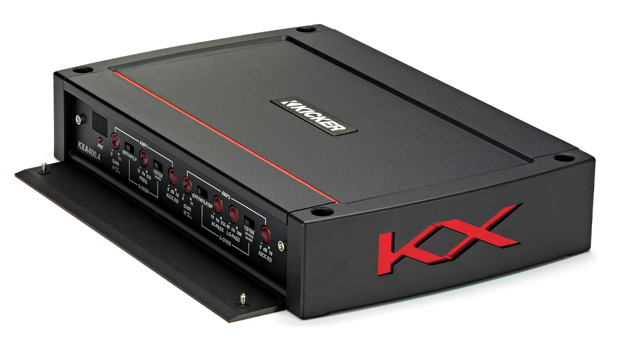 Control as many as four amplifiers simultaneously, including mono KX amps and the bass channel of the KXA800.5. 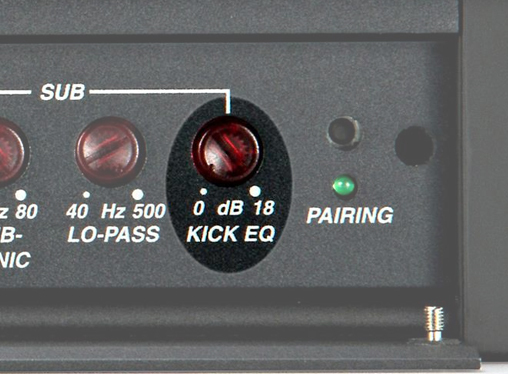 Monitor and control vital functions of the amp including clipping, gain, phase, bass boost and more. 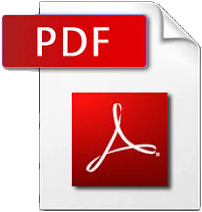 In any audio system, the goal is to reach maximum input and output levels without distortion or clipping. Sometimes, without expensive or complicated equipment like an oscilloscope, this can be a daunting task for a would-be-audiophile install. 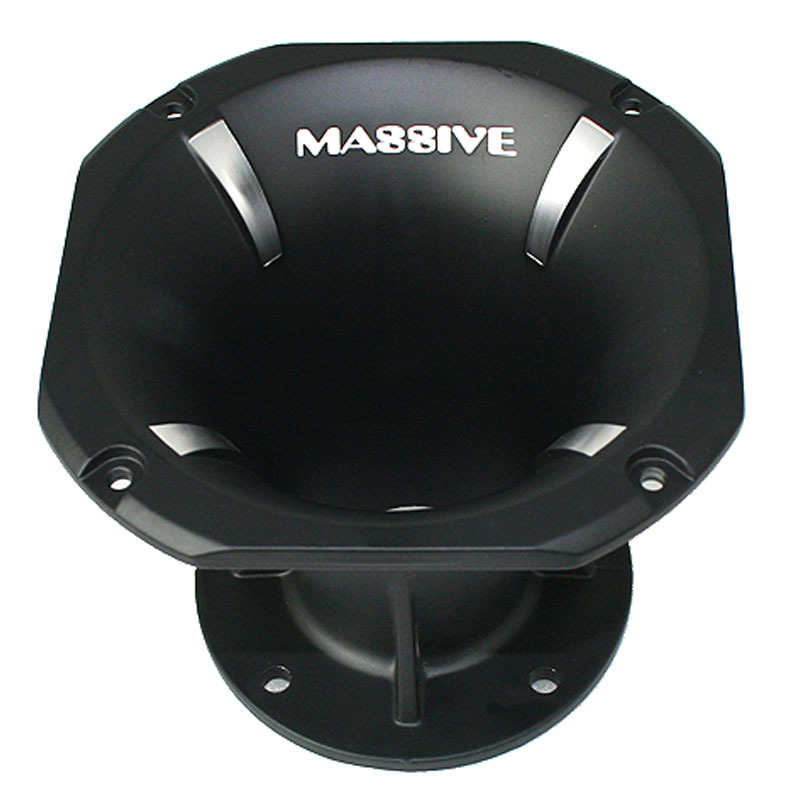 You want high efficiency, monster wattage and small amp size. 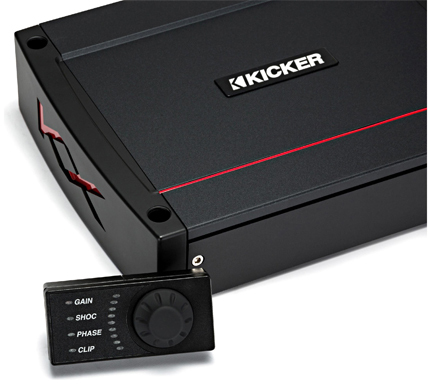 One ohm stability* and Class D construction means KICKER® amps fit nearly anywhere, with up to 2,500 watts of bone-shaking power. 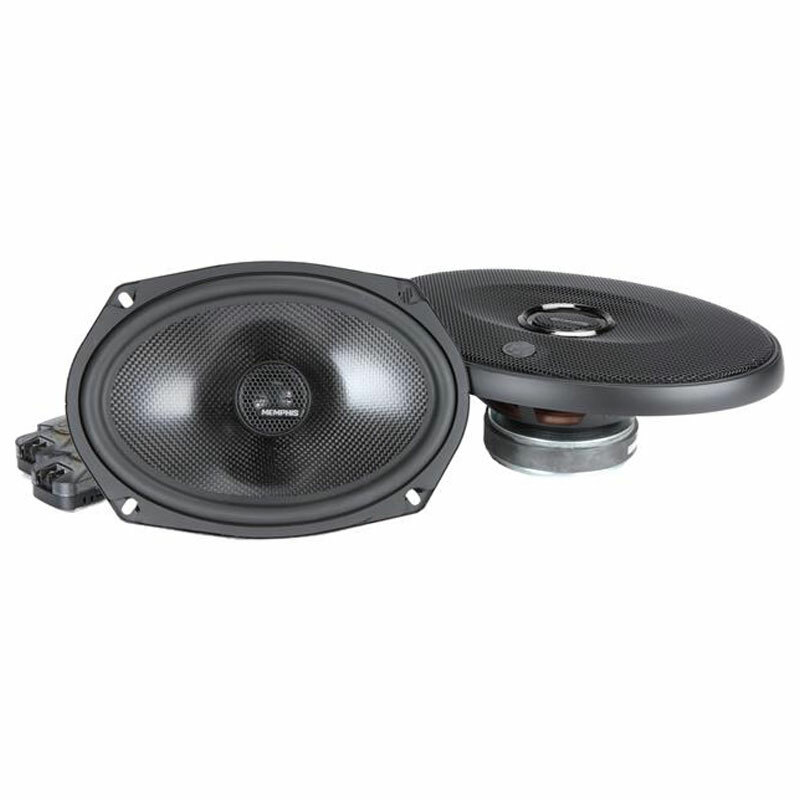 *Mono models and subwoofer output of KXA800.5. 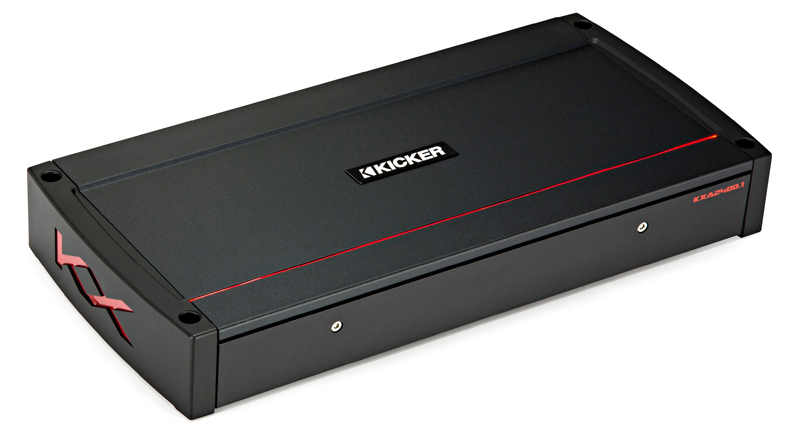 Enjoy an enormous 18dB of variable bass boost with KickEQ+™. A simple turn of the knob gives you the extra bump you’ve been looking for. 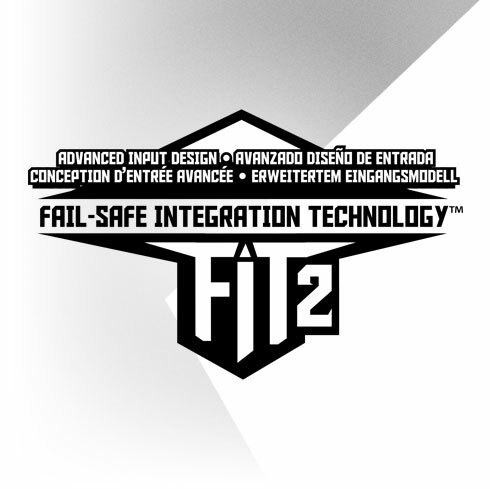 KX Amplifiers come loaded with FIT2™ (Fail-Safe Integration Technology) advanced circuitry for superior clarity and dependability that works with nearly every radio on the planet. 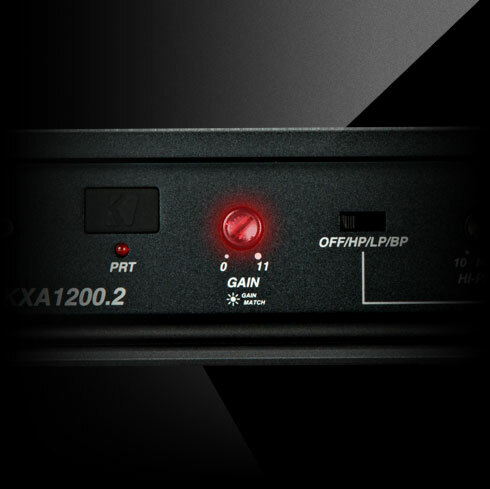 Get the absolute most out of your amp with a specially designed gain control that lights up when the perfect input signal is detected from your radio. 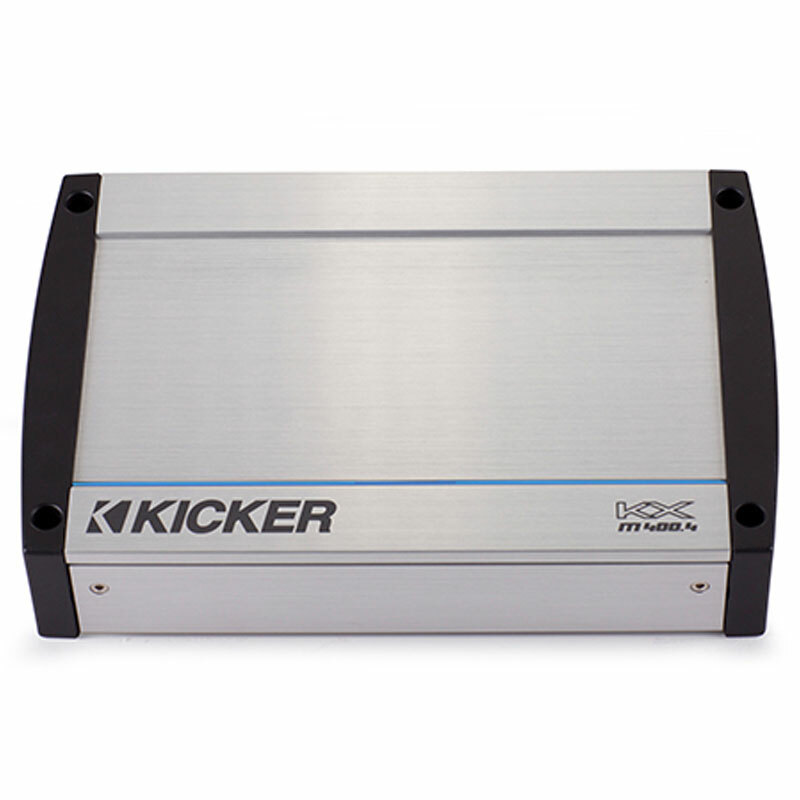 No matter where you mount your KX amp, this easily accessible 24dB crossover lets you quickly tune your system to perfection. 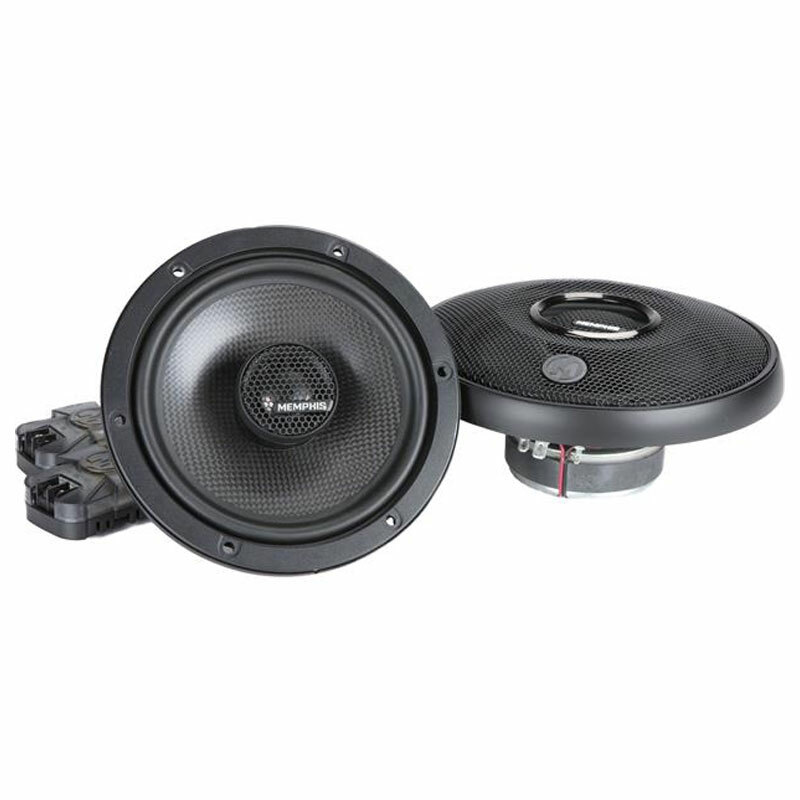 To get the most out of your bass, a variable 24dB subsonic filter is also included with mono and five-channel KX amplifiers. 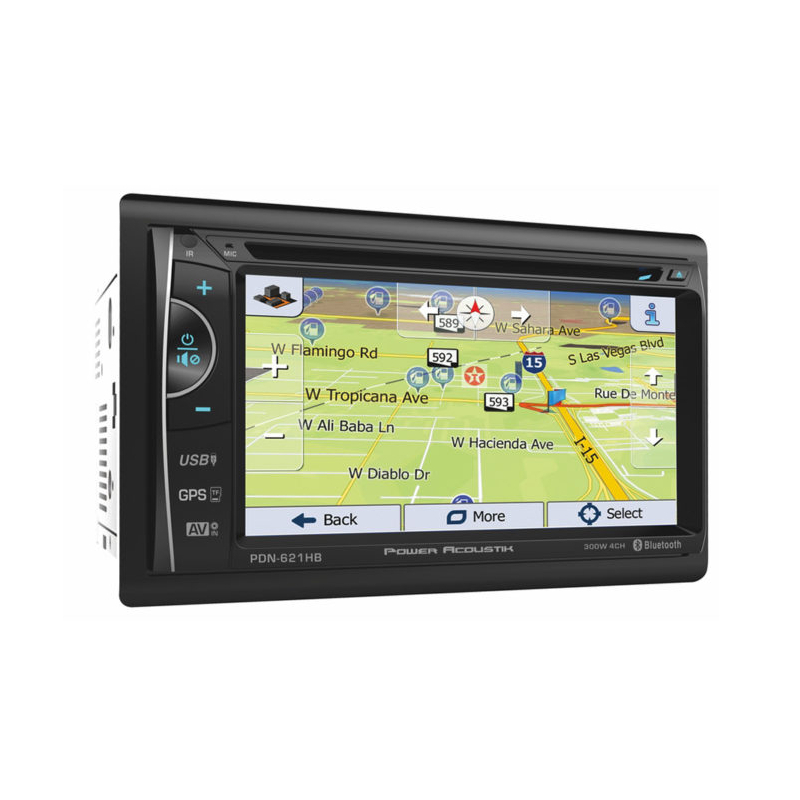 Want more help tuning your ride? 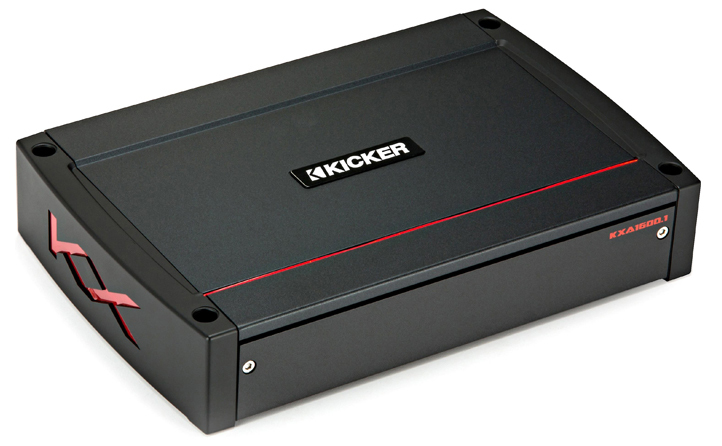 Check out KICKERU for a free woofer & amplifier configuration app. The SHOCwave™ Bass Restoration processor reveals the depth and power hidden in your digital recordings. 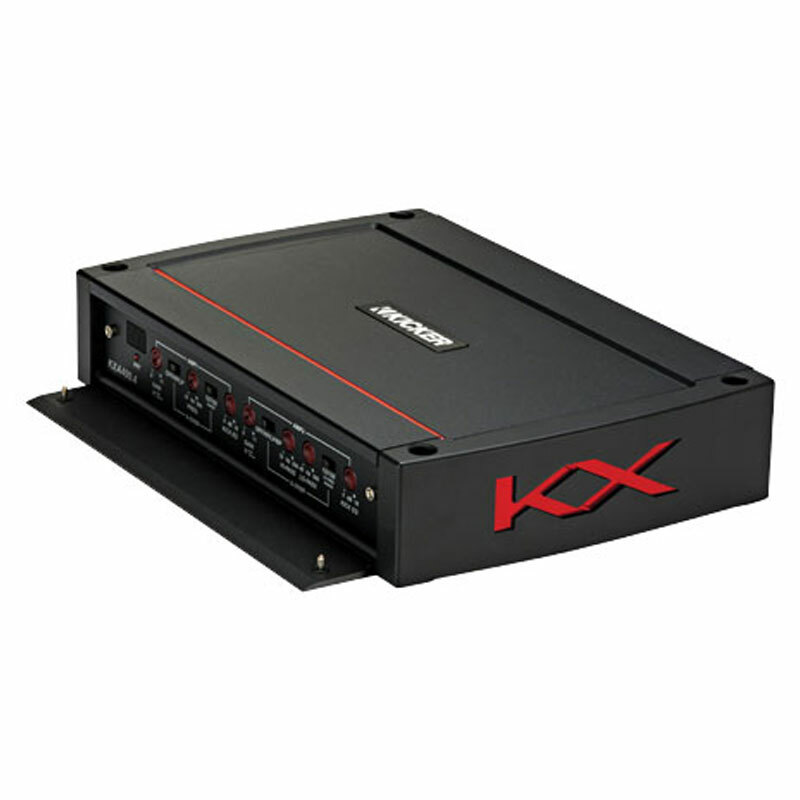 This advanced processor is built into all mono and five-channel KX amplifiers, and easily controlled with the wireless KXARC remote (included).